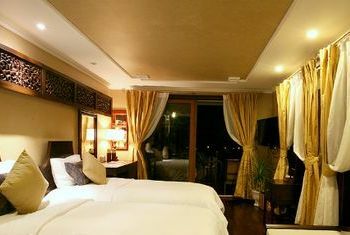 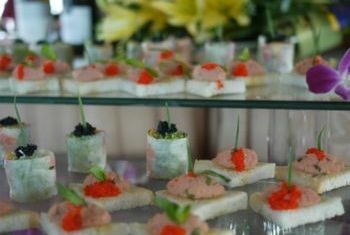 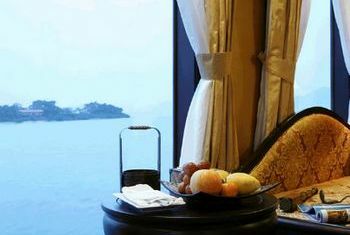 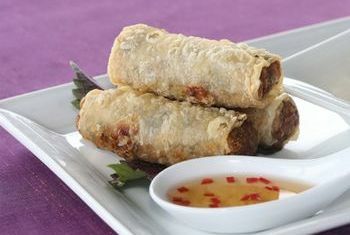 Four suites and two deluxe cabins of Violet Cruise offer visitors an exclusive look at the wonders of Halong bay. 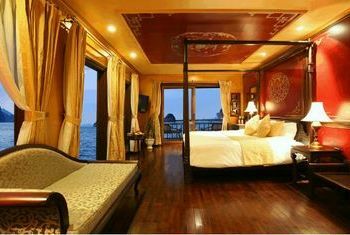 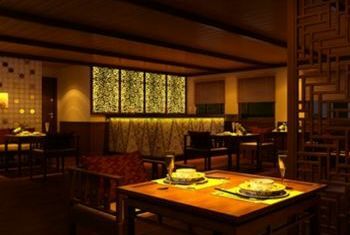 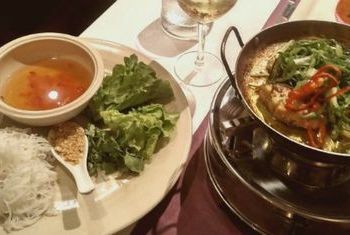 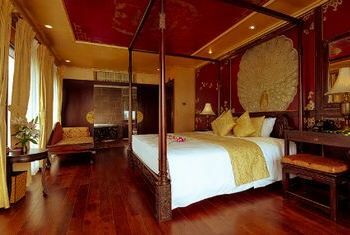 This luxurious over-the-water hotel features the wooden junk sail of bygone Indochina style and boutique facilities. 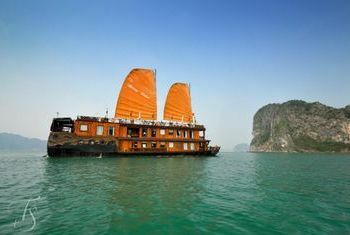 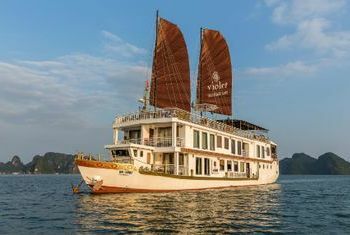 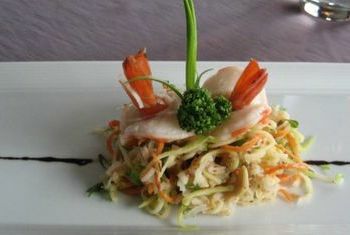 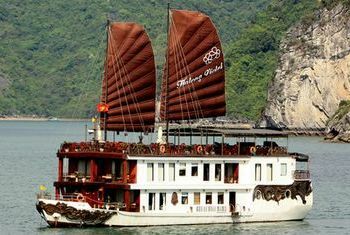 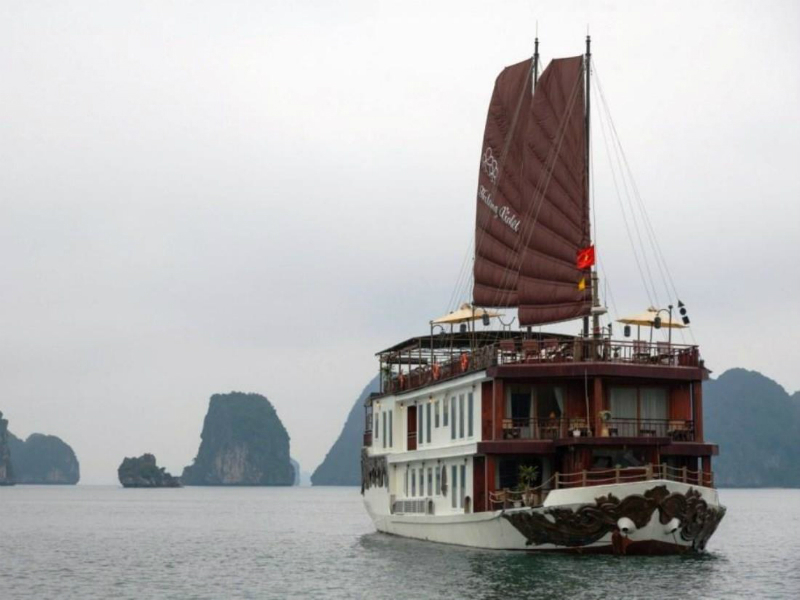 Violet is one in our top choice of the luxury cruise over the exotic Halong Bay, an ideal junk for honeymooners, family gatherings or couples of friends.